Tikva Frymer-Kensky | Amazing Lookalike! On the left is the late Tikva Frymer-Kensky, former Professor at the University of Chicago Divinity School. 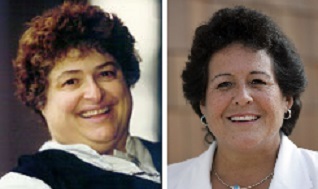 On the right is American Professional golfer Nancy Lopez.